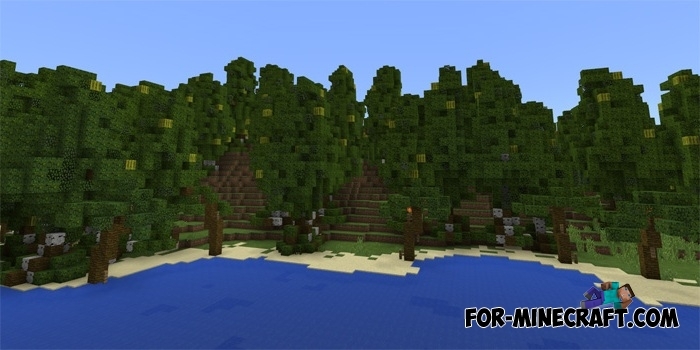 Island Biomes is a group of small islands, each of which contains a certain biome. This location is an excellent reason for frequent travel, resource search and construction. Each island has a distinctive feature that is in fact the choice for building a house. There's a lot of everything that will be useful in the future. The forests and mountains will supply you with a bunch of stacks of trees, stones and ore. Survival is no different from the usual, you still need to collect building materials, grow food or hunt, and plan the next days. Try to play without creative mode, commands and cheats.